You may have the most highly trained and safety-conscious operators, but if your overhead cranes and hoists are not properly inspected and maintained, you could suffer expensive failures and accidents that could have easily been prevented. A safe workplace comes from just two factors: proper training and proper maintenance. It’s that simple. CraneRx optimizes the effectiveness and return on investment of your maintenance program – whether it’s in-house or outsourced. Maintenance is always necessary, but wasting money and time isn’t. CraneRx helps manage time spent on maintenance, as well as track repairs and inspections, saving you both time and money. CraneRx collects uniform, detailed inspection data on every crane and hoist, regardless of the equipment’s location or the inspector collecting the data. It also maintains comprehensive and consistent databases on every crane and hoist for each of your facilities, which can be accessed and updated from any location. CraneRx evaluates the data to determine individualized maintenance programs for every piece of equipment. CraneRx generates consistent reports that summarize equipment status and maintenance activities for every unit and location involved in the program. As a result, CraneRx keeps your cranes and hoists in peak operating condition. CraneRx’s servers utilize redundant backup, which protects your records from loss due to data corruption or server hardware failure. With digital record keeping, you know exactly where to find your maintenance record and reports whenever you need to. Also, you will have 24/7 access to all of your records from anywhere in the world. 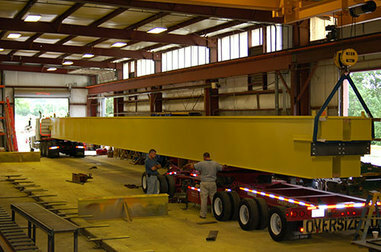 CraneRx Keeps Your Cranes and Hoists Running Longer and Performing Better. CraneRx enhances the long-term performance and safety of overhead cranes and hoists by using advanced technology to greatly increase maintenance efficiency and cost-effectiveness. With CraneRx, Qualified Maintenance Technicians performing scheduled equipment inspections will immediately know the full maintenance history of every crane and hoist in your facility. They can see when and where repairs have been performed in the past, which will save time and help them to accurately pinpoint existing problems, as well as being able to see potential problems, so you can prepare for them instead of being caught off-guard, causing “down” time in your facility. Due to the design of CraneRx, maintenance records and inspection reports will always be consistent from visit to visit, whether you have a single facility or multiple facilities. No longer will it matter which Maintenance Technician performs the inspection or at which location the inspection is performed—with CraneRx, your records will always be consistent and uniform. Reports generated from CraneRx are more accurate and complete, saving you time and helping you to avoid OSHA audits (that result in “down” time or fines). Reports generated from CraneRx also permit more efficient scheduling of maintenance, as well as more accurate preventative maintenance, trend analysis, and maintenance cost summaries. Online Certificates: Online access means you can view and print your certificates at any time. It also means that by keeping your records on our servers, you have less paperwork and liability to deal with. Streamlined tracking of inspections and testing: We can record and retrieve information about inspections and testing in one place quickly and easily, and you can access a complete history of your equipment at any time. System-Specific Records: View all maintenance and inspection records for each individual system in any of your facilities. These features make CraneRx the first true total care program—an investment that helps maximize the value produced by every dollar spent on overhead crane and hoist maintenance. Contact us today for more information on how CraneRx can help save your company money and time. Request Information About CraneRx.